Worldwide PC shipments are expected to fall this year,while volumes expected to stabilize around 300 million units per year. 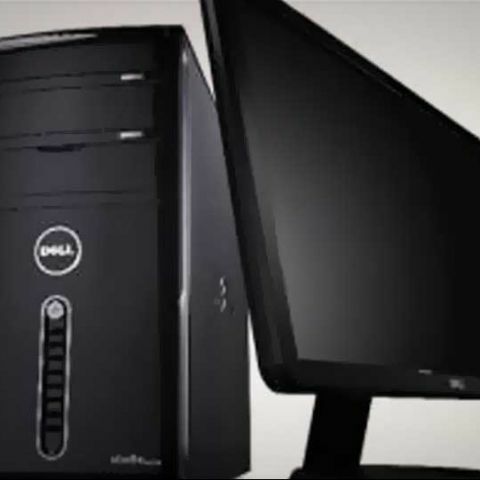 International Data Corporation (IDC) Worldwide Quarterly PC Tracker report for 2013 states that PC shipments globally are expected to fall by -10.1% in 2013 and are expected to decline further by -3.8% in 2014. If the estimate turns out to accurate, this is the worst yearly fall on record for PC's till date. IDC puts the trend as 'by far the most severe yearly contraction on record'. Overall, the report states that total PC shipments may stabilise in the long term but will remain around 300 million, which is barely ahead of the 2008 volumes. The report forecasts that shipments for consumers are declining at -15 percent for consumers, while commercial market is declining at -5% YoY. However, IDC forecasts that both commercial and consumer market will sustain a decline in 2014 and will have a flat growth rate in the longer term. 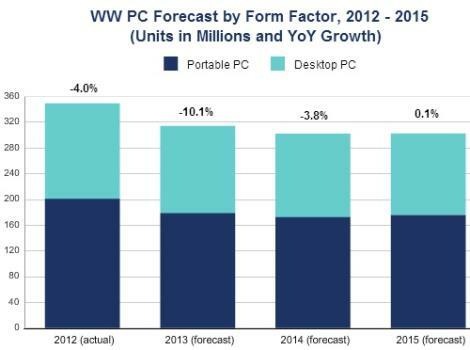 "Perhaps the chief concern for future PC demand is a lack of reasons to replace an older system," says Jay Chou, Senior Research Analyst, Worldwide Quarterly PC Trackers at IDC. "While IDC research finds that the PC still remains the primary computing device – for example, PCs are used more hours per day than tablets or phones – PC usage is nonetheless declining each year as more devices become available. And despite industry efforts, PC usage has not moved significantly beyond consumption and productivity tasks to differentiate PCs from other devices. As a result, PC lifespans continue to increase, thereby limiting market growth." IDC's report for tablet shipments also forecasts a decline in growth to single digits by 2017. The decline is mainly attributed to consumers buying large screen smartphones. The report states that global tablet shipments will slow down to 22 percent in 2014. By 2017, tablet sales will increase to 386.3 million units a decline from the earlier IDC forecast of 407 million units. Which OS to installed in PC ?